With my 30 Recipes In 30 Days Challenge finally complete I thought I would pen a quick post sharing my thoughts on the project. Firstly, I'm pleased to be able to say that I actually completed the challenge, particularly after getting ill part way through. 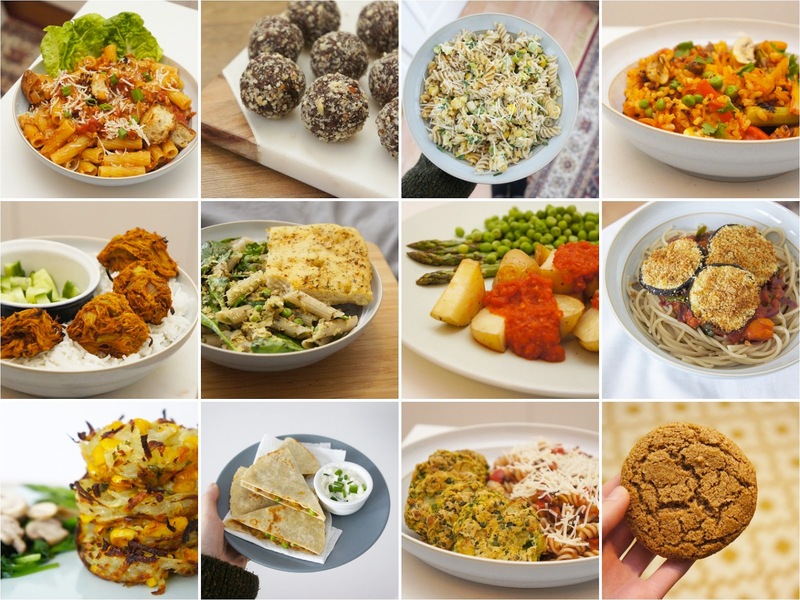 Over the thirty days I tried out a whole variety of recipes, including all of those pictured above, and discovered what I'm sure will become some new favourites I'll recreate over and over again. Back in December when I first posted about the challenge I mentioned that it was inspired by my desire to tackle my out of control foodie Pinterest boards, however things didn't quite work out as planned. Despite the fact that the challenge pushed me to finally test out some more of the many ideas I'd pinned it also led me to pinning even more recipes! Whilst I may have failed in this aspect I'm actually really glad it turned out this way as overall the challenge has left me feeling inspired to experiment even more in the kitchen. As much as I enjoyed testing out other blogger's amazing recipes (and they were delicious! ), I think the days I enjoyed the most were those where I adapted a recipe to suit my diet or took an idea I liked and created my own recipe. The challenge has really encouraged me to work on creating more of my own recipes and sharing them here on the blog - keep an eye out for another recipe next week! If you're considering taking on your own recipe or cooking challenge I would highly recommend going for it. Trying out a new recipe every day can be hard work and tricky to fit around other commitments but it was definitely worth the effort!